Our sponsorship opportunities for the 2017 Magical Winter Lights range from 3 exclusive sponsorship packages to a la carte opportunities. The a la carte opportunities offer an array of sponsorship options that are customizable to best meet the needs of any potential company sponsor. Whether you are a small or big business, the a la carte option is divided into three tiers providing different price points to suit your marketing budget. 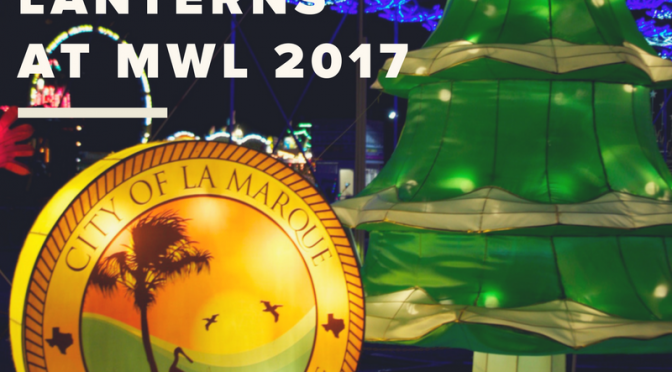 Today on the blog, we will discuss the different ways your company can create their very own custom logo and how it would be showcased at the 2017 Magical Winter Lights. Under the Global level sponsorship option there are two customizable placements that are offered, the creation of a custom lantern and/or the creation of a custom lantern set. The custom lantern is one, single lantern that is personalized using your company’s branding or logo. The lantern is placed inside the festival in an area that gains maximum exposure and impressions from visitors attending Magical Winter Lights. Our award winning team would meet with your company to help visualize the concept you have in mind. In the past, we have had companies send over their marketing files – by using the vector files provided, we can print your company’s logo onto a fire-retardant, silk fabric that covers the metal structure base of the actual lantern. We work close with your team to ensure the lantern comes out as envisioned by your team. And if you’re are not sure on what to expect for your lantern, our team of experts will help you decide what type of lantern would be best for your investment. This is a great way to uniquely promote your company in a festival environment where your brand/logo guaranteed exposure to our visitors, and will literally light up their night at Magical Winter Lights! Wondering what your custom lantern might look like at Magical Winter Lights? Check out our custom lantern for our 2016 title sponsor, The City of La Marque. They requested their logo to be replicated in the form of a lantern, and our team created this 4FT high circular lantern based off of their official logo. Their lantern gained over 300K impressions! © Magical Winter Lights® All Rights Reserved.